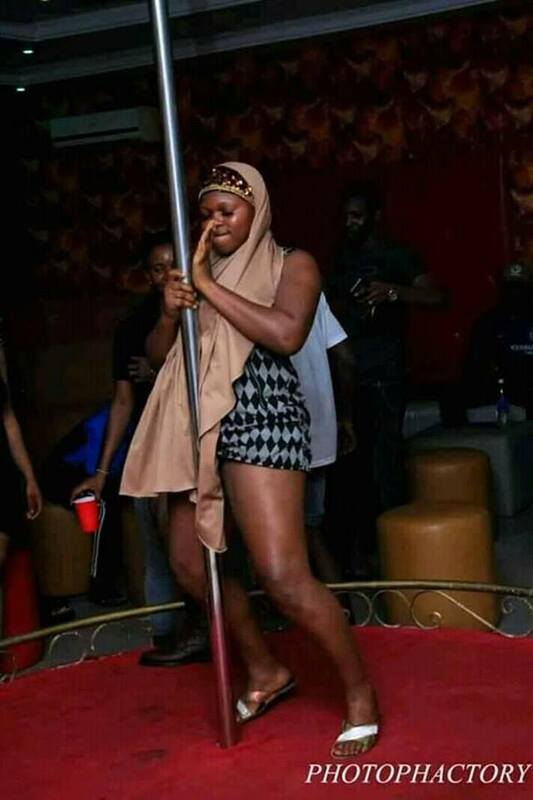 A Nigerian man has taken to social media to share pictures of a slay queen in Hijab spotted in a nightclub. The pictures which have gone viral online, have drawn mixed reactions among internet users. 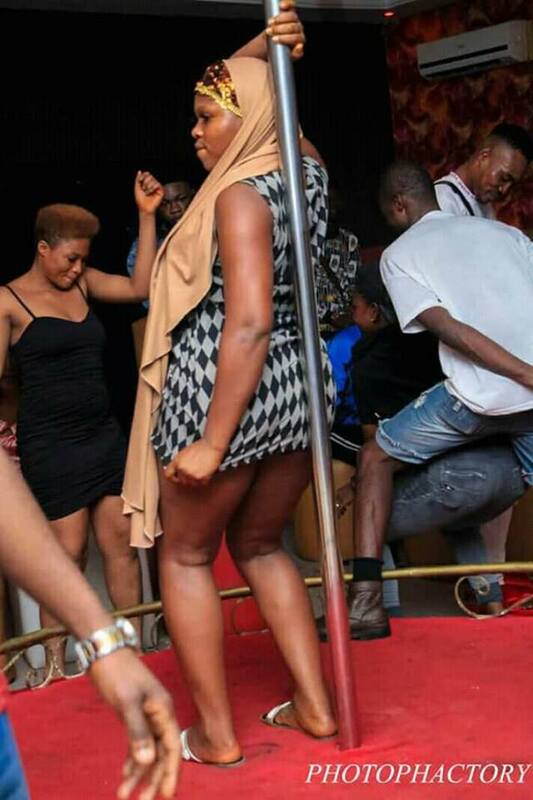 The slay queen could be seen grinding hard and pole dancing at a party held in the club. Allah please forgive our sins. Using hijjab to do rubbish. How on earth was that decency? 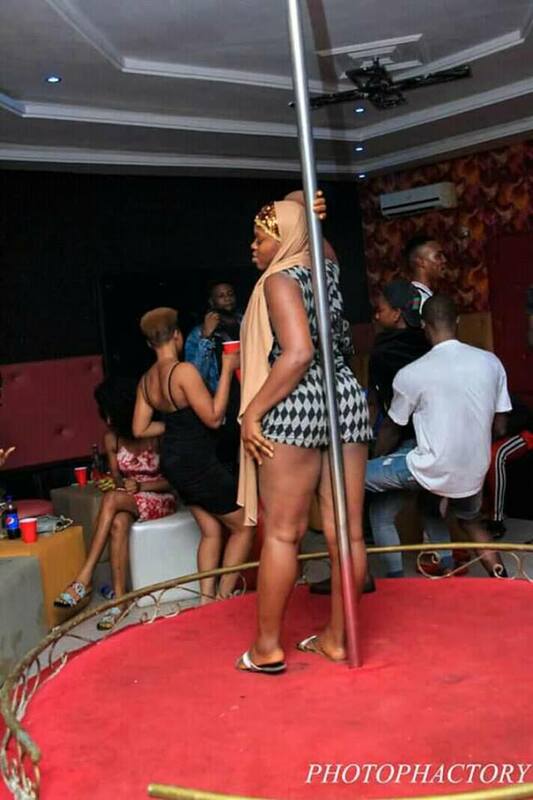 ?Was there nobody to strip her off that Hijabb?? Definitely not a Muslim, probably using the dress as a fashion statement. 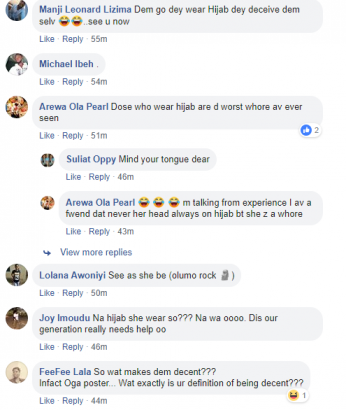 Some ppl will do anything just for d attention it attracts...congratulations u r being talked about.